Dallas is the center of all the action in the North Texas region. A centralized location, Dallas experiences a near-constant flow of people through its busy highways and airport. Known for its diversity, thriving business district, beautiful architecture, and varied cultural districts, Dallas has something to offer for everybody. In this guide, we'll take you through some of the best things to do in Dallas, Texas, whether you're looking for adult fun or family-friendly options. No matter what you like to do on a day or night out, you'll be sure to find fun things to do in Dallas this weekend! Some of the top things to do in Dallas, Texas, are located in the West End district of Downtown Dallas. One of the biggest draws of tourism in the area is the complex of sites related to the assassination of President John F. Kennedy. The Sixth Floor Museum, located in the building from which the President was shot, draws over 400,000 visitors a year. The museum houses exhibits chronicling not just the assassination, but the life and legacy of President Kennedy. Other sites in the West End related to the Sixth Floor Museum include Dealey Plaza, the area in which the assassination occurred, where visitors can view the controversial "Grassy Knoll" and the infamous "X" markings in the pavement that show where on Elm Street the President was shot. Just a block from Dealey Plaza, you can visit John F. Kennedy Memorial Plaza, featuring a monument designed by famed architect Philip Johnson, a friend of the Kennedy family. Other must-see attractions in the West End include three of the Dallas Arts District's most popular historical sites. At the Old Red Museum, visitors explore the history, art, and architecture of Dallas County. The Dallas Holocaust Museum is devoted to education on the Holocaust and human rights issues worldwide. Finally, visit Founder's Plaza to see a replica of the log cabin of John Neely Bryan, founder of the city of Dallas. Other popular sites in the West End include Pioneer Plaza, site of the famous cattle drive sculpture and Confederate war memorial, Wild Wild West, a retail shop selling Old West-themed Texas memorabilia, and Reunion Tower, where you can get a bird's-eye view of the city on the observation deck. Most Texans agree: sports, especially football, are in important part of Texas's culture. Dallas is no exception, hosting seven major league teams and several smaller organizations throughout the region. Perhaps the most famous sports venue in Dallas is the Cotton Bowl. The Cotton Bowl was historically the host of the famous Cotton Bowl Classic college football game, but in recent years the Classic has moved to AT&T Stadium. The original Cotton Bowl still hosts a number of other college football classics and other special sporting events throughout the year, including the new Heart of Dallas Bowl. The city's professional football games take place at AT&T Stadium, home of the Dallas Cowboys, in the nearby suburb of Arlington. Arlington is also home to Globe Life Park, where the MLB's Texas Rangers play, and College Park Center, a university arena that also serves the WNBA's Dallas Wings. American Airlines Center in downtown Dallas hosts three professional teams: the Dallas Mavericks (NBA), Dallas Stars (NHL), and Dallas Vigilantes (Arena Football League). The arena also hosts popular music concerts and other special events throughout the year. Finally, head to the suburb of Frisco to see Major League Lacrosse's Dallas Rattlers at the Ford Center, and Major League Soccer's FC Dallas at Toyota Stadium. There's lots of fun things to do with kids in Dallas. The Dallas area has lots of options for families who love amusement parks. Popular choices in the area include Sandy Lake Amusement Park, Zero Gravity Thrill Amusement Park, Adventure Landing, the outdoor-oriented Trinity Forest Adventure Park, and Zone Action Park. The suburb of Arlington is also home to the original Six Flags park, Six Flags Over Texas. This park includes an adjacent water park called Hurricane Harbor; Bahama Beach Waterpark is another option in the area. The Dallas Zoo is one of the best kid-friendly things to do in Dallas. Not only do the exhibits make for great family fun, but kids can sign up for summer camps, scouting programs, and classes. For more fun animal exhibits, check out Dallas World Aquarium downtown or the Children's Aquarium in the Fair Park neighborhood. Right next door to the Children's Aquarium, kids and teens will love the Texas Discovery Gardens, where they can enjoy botanical gardens, gardening workshops, a butterfly house, and a snake exhibit. Other fun things for kids to do in Dallas include a visit to the Dallas Children's Theater, taking a tour of the Museum of the American Railroad, and learning about aviation at the Frontiers of Flight Museum. Couples looking for things to do in Dallas at night will enjoy a thriving nightlife, focused primarily on Downtown, Uptown, and Deep Ellum. Dallas has some great restaurants, bars, nightclubs, and performing arts venues across a variety of tastes. Like the rest of Texas, the two best-known cuisines in Dallas are Mexican and Tex-Mex food, and traditional Texas barbeque. Dallas also has great options for steakhouses, seafood, and Italian cuisine. Top-rated options for Mexican food in the area include Velvet Taco, Meso Maya, Mia's Tex-Mex, and E Bar Tex-Mex. If you're looking for great barbeque, we recommend Pecan Lodge, Lockhart Smokehouse, and Off The Bone Barbeque. Other local favorites include Pappadeaux Seafood Kitchen, Kenny's Wood Fired Grill, Rodeo Goat, and Jimmy's Food Store. For after-dinner drinks, try one of Dallas's top-rated bars, such as Midnight Rambler, The Grapevine, Windmill Lounge, or Lakewood Landing. Live music is one of the most fun things for couples to do in Dallas. The area has venues to accommodate just about any genre. Classical music connoisseurs can check out the Dallas Symphony Orchestra at Morton H. Meyerson Center, or enjoy a night at the opera at Winspear Opera House. Head to the Dallas House of Blues for classic blues performances. A variety of pop, rock, and indie acts tour the area regularly at venues like Kessler Theater, Granada Theater, Trees, The Bomb Factory, and Opening Bell Coffee. Electronic music enthusiasts will enjoy dancing at Dallas's hottest nightclubs, including Station 4, The Nines, It'll Do Club, and Lizard Lounge. Looking for entertainment that won't break your budget? There's lots of fun, cheap things to do in Dallas, and even several free options! Beer-lovers can head to the suburb of McKinney to enjoy a $5 factory tour and tasting at the Franconia Brewing Company. In Richardson, just off of North Dallas, check out Free Play Arcade of Richardson. For just a $10 entry fee, enjoy over 90 classic arcade games and pinball tables, set to "free play," to your heart's content! Two of Dallas's coolest free museums center around the art and culture of East Asia: The Crow Collection of Asian Art and the little-known, but must-see, Samurai Collection. While it's not as tall as Reunion Tower, Chase Tower offers a Sky Lobby observation deck experience free of charge, unlike the paid experience at Reunion. Those willing to make the trek to Fort Worth can enjoy a free tour of the United States Bureau of Printing and Engraving. There are only two Bureaus in the country where money is printed: Fort Worth and Washington DC. Let us introduce you to some cool and unique things to do for your birthday in Dallas. The area has lots of adventurous attractions that make great adult birthday party ideas. Many Dallas natives like to invite friends on a Party Bike pub crawl, in which party-goers pedal a mobile bar through Downtown and Deep Ellum. Or, you can expand your artistic skills at a BYOB painting class at Painting With A Twist, or a glass-blowing workshop at Dallas Glass Art. Your guests will have a great time bowling at the vintage-themed Bowlounge. Theater-lovers eager for an extra-cool birthday experience can try an offbeat performance at Pocket Sandwich Theater or Quixotic World. There are plenty of good opportunities to get out in the fresh air and enjoy the beautiful weather in Dallas. The city's many parks and greenspaces are some of our favorite things to do outside in Dallas; in particular, we strongly recommend the 1,000-acre White Rock Lake area. The park features nearly 10 miles of walking and cycling trails, boat rentals, a dog park, a bird-watching area, picnic facilities, and an associated cultural center and museum. Adjacent to White Rock Lake, explore the beautiful Dallas Arboretum and Botanical Garden. One of the largest outdoor nature areas in Dallas is the Joe Pool Lake area. Surrounding the lake are several interconnected parks, with opportunities for hiking, camping, equestrian trail rides, swimming, and boat launches. These areas include Cedar Creek Preserve, operated by the local Audubon Society chapter, Cedar Hill State Park, the Lynn Creek Marina, Estes Park, and Loyd Park. History buffs can enjoy the great outdoors while learning about the city's rich history and heritage at Dallas Heritage Village. Finally, art-lovers can take in beautiful statuary while enjoying the sunshine at Nasher Sculpture Center. On those days when the rain just won't go away, you'll need to find things to do indoors in Dallas. Some of the best indoor options are the area's many museums. The Dallas Museum of Art is the area's premier museum destination, and even long-time Dallas natives who have never seen it ought to pay a visit! Other great art museums around the area include: the Meadows Museum, Museum of Geometric Art, and Bivins Gallery. For history, be sure to check out the George W. Bush Presidential Library and Museum. If museums aren't your thing, enjoy a book or a free class at J. Erik Jonsson Central Library, head to Pinstack for a variety of indoor activities ranging from bowling to laser tag, or head to Great Wolf Lodge in Grapevine for an all-indoor water park day. While we've covered some of the best things about Downtown already, there's even more fun things to do in Downtown Dallas and its adjacent Fair Park neighborhood. One of the hottest and newest attractions Downtown is Klyde Warren Park. The park hosts hundreds of free activities throughout the year, such as food truck festivals, yoga classes, live music and poetry readings, and outdoor games like golf, chess, and table tennis. The Dallas Farmer's Market has also become quite popular in recent years; you'll find it just east of City Hall and the Hutchinson Convention Center. In Fair Park, you'll find the annual Texas State Fair. It takes place in September and October each year. Music-lovers can enjoy live concerts at Starplex Pavilion and musical theater at Dallas Summer Musicals. Museums worth a visit in Fair Park include the Perot Museum of Nature & Science, African-American Museum of Dallas, and Dallas Firefighters' Museum. In Uptown and nearby Oak Lawn, you'll find the center of Dallas's nightlife, as discussed above. But beyond nightlife, there's many relaxing daytime things to do in Uptown Dallas, centering around the neighborhood's beautiful parks. Reverchon Park is perhaps the most popular choice, featuring playground and baseball facilities. Uptown residents can also enjoy a stroll through Greenwood Cemetery, Oak Lawn Park, or Turtle Creek Parkway. Catch an independent film at the Magnolia Theater, and enjoy a relaxing coffee at Bread Winners Café. Things to do in North Dallas center around the area's excellent shopping. 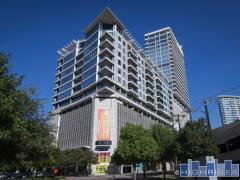 Popular locations include: NorthPark Center, Galleria Dallas, Highland Park Village, and The Shops at Park Lane. Popular outdoor recreation in the North Dallas region consists of Anderson Bonner Park, Churchill Recreation Center, and Harry S. Moss Park. North Dallas dwellers can enjoy golf at a variety of locations around the largely-residential neighborhood. Some of our top recommendations are the Royal Oaks, Brookhaven, and Canyon Creek country clubs. One of the best things to do near Dallas, TX, is visit Dallas's sister city, Fort Worth. Fort Worth is only 32 miles from Dallas, and makes a great destination for day trips. Popular attractions in Fort Worth for families include the Fort Worth Zoo, Fort Worth Botanic Garden, the city's famous Water Gardens, and the Fort Worth Museum of Science and History. Art-lovers won't want to miss the superb Kimbell Art Museum, and the neighboring Modern Art Museum of Fort Worth. Outdoor enthusiasts will enjoy soaking up the sun at the Fort Worth Nature Center & Refuge, while sports fans can catch a NASCAR or IndyCar race at the world-class Texas Motor Speedway. At the Stockyards, take a tour with real cowboys and cowgirls and learn about cattle driving and the history of the Old West. Visit the accompanying museum, petting zoo, restaurants, and shopping locations for more fun.